Today we are keeping it non-alcoholic, but still delicious. If you enjoy having a non-alcoholic post, let me know in the comments below as I'm considering doing a non-alcoholic drink once a month. It has been hot! As in more than just toasty. We had three days in a row that were in the mid 80s! Then this weekend was a high of 75. 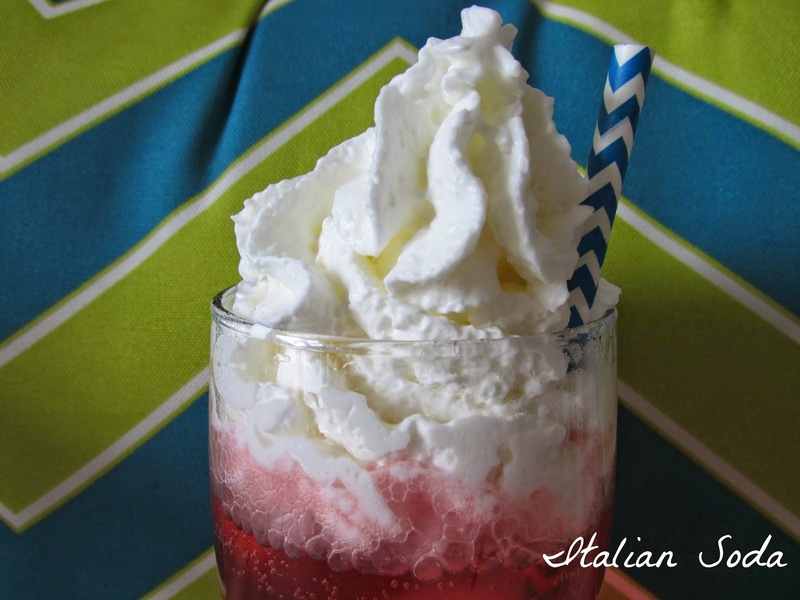 I needed something cool and refreshing, and what is more cool and refreshing than an Italian Soda? Mmmm, look at that whip cream! What you will need: Raspberry flavoring syrup, ginger ale, whip cream, ice. 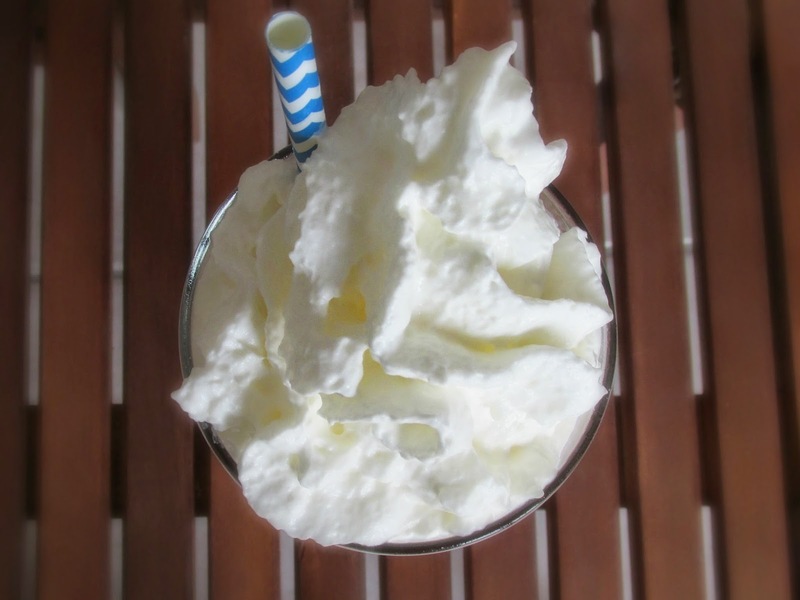 There are probably lots of ways to make an Italian Soda, but the way I make it is really simple. Place a few ice cubes in a Collins glass, add one to two ounces of raspberry flavoring syrup (depending on how sweet you want it), fill glass with ginger ale, top with whip cream. 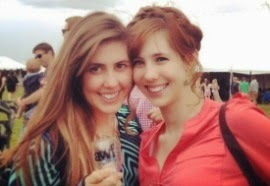 If you want to embellish your drink feel free to add a pretty straw! I like to serve these with straws so that those who want their cream mixed in (that's me!) can use their straw to do so. 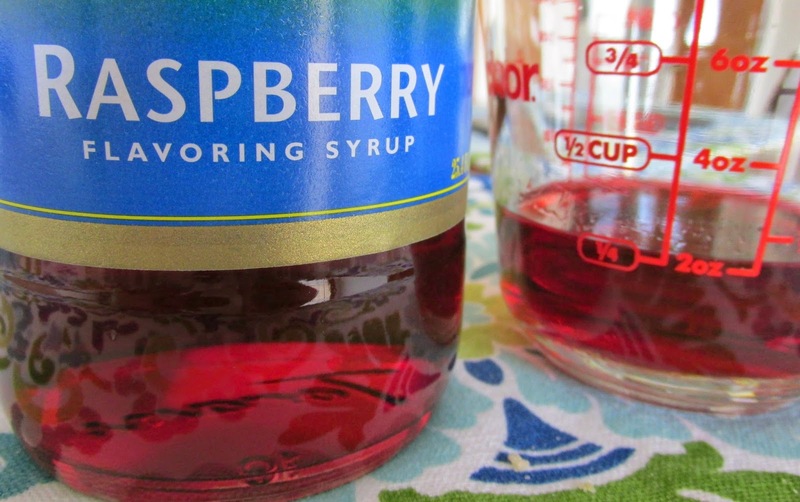 You can use any flavor of syrup that you want. These flavoring syrups can normally be found in coffee shops or in the coffee aisle at your grocery store. Warning: The Goldfinch spoilers are ahead! I'm back to reading now that I've had some free time again, and the book is getting better! I've actually quite enjoyed the last chapter I read. For those who don't remember we left off with the death of Theo's father and Theo running away from Las Vegas and back to New York. He ended up staying with the exact friend that I thought he would. Theo and his father never got a long, at best they tolerated each other. Theo has now learned something that he believes would have allowed him to prevent his father's death and now feels a deep guilt. We've now learned that one of the characters who suffered a head injury during the explosion at the beginning of the story may have been handicapped more than Theo realized, and Theo is still struggling with what to do with the stolen Goldfinch painting. Things are finally beginning to develop in very interesting directions and I'm getting excited to see what comes next. It is! If you try it out you'll have to let me know what you think! I want to drink that now it looks amazingly delicious great job. Enjoy your day doll. Thank you! I hope you enjoy your day too! Yes this seems so delicious! I always love when you post recipes. Thank you so much! I post drink recipes every Monday and dinner recipes every Wednesday! Lauren, I could use one of those right now! HAHAHA It looks so good and I love the flavor. Will have to try. Thank you so much! I look forward to see what you write in the future! Mmmm! This drink looks so good! What a treat on a hot day. I'll take extra whip cream on mine! : ) Love it with the cute straw too! Cant wait to make it! Thank you! It's perfect for a hot day. I hope you enjoy it! I drank mine after a long walk in the sun! Yum this sounds good! You always have the best recipes! I'm glad you like the idea! I'll definitely let you know my final thoughts! I love the cream!! Then the ice cream!! Hello keep in touch. Mm, cream and ice cream are always good! I bet a scoop of vanilla ice cream would be great in this as well! OMG this seriously sounds so amazing! Raspberry is one of my favs! Me too! I love everything raspberry.